Workbusters has the best and most reliable cleaners in London. We have a great team of trained and friendly domestic cleaners who don’t clean because they have to, they clean because they want to. They get great satisfaction from doing a brilliant job and leaving your home sparkling and perfect. Our staff are trained, fully vetted and insured, so you never have to worry about the quality of work in your home or the legalities of employment. 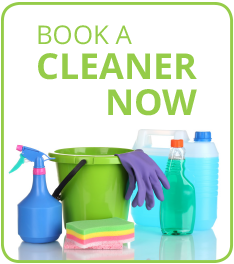 Our cleaners are flexible and will work at times to suit you – including weekends and evenings. In the office we are experienced at matching cleaners with clients so you get someone who cleans just as you want. As far as possible we send the same person each time so you can build a relationship and know that your home is in safe hands. We have more than 25 years’ reliable experience in servicing London homes, and more than 500 happy customers.We believe in providing best quality reliable staff to help you inside and outside your home. We cover all sorts of cleaning. We can arrange regular household cleaning where your cleaner comes on a set day for a set period, every week or every other week. We also offer large one-off cleans – such as spring cleans, after builders or end of tenancy cleans. We can do emergency cleans if something has flooded or even before and after parties! It’s not just domestic properties we clean, but also commercial, such as; offices, shops, small surgeries, large surgeries, gyms, schools and so on. These can be on a regular basis or as a one-off. We also offer specific cleaning services like; carpet cleaning, window cleaning, patio and terrace cleaning, upholstery and mattresses. Yes, we do. This can be a regular service as part of our cleaning routine or just as a one off! What happens if I want to book a cleaner? If it is a domestic clean we will normally discuss your requirements over the phone. This will include how many bedrooms and bathrooms you have, how often you want your sheets changed if you have any ironing – and so on. We will then provide a quote for the time you require and arrange to send a cleaner at a time and day that suits you. If necessary, we can come to your house to visit. If you would like a commercial office clean or a spring clean we will normally visit to see the space and then quote accordingly. How do you check your cleaners? Generally, our cleaners come recommended to us by our current staff. We interview all of them and check their documents and their right to work in the UK. We also check their references. Yes. We have Public Liability Insurance so you can rest assured that if anything happens to a cleaner in your house or office you will not be held liable. We are also insured against small unforeseen accidents, loss of keys and so forth. In line with all other insurance policies, there is a £250.00 excess on any claim. Can I pick day and time? We will always endeavour to match your preferred day and time. If we do not have a cleaner available for your first choice of day/time, then we will discuss the options and arrange another time that is convenient for you. Do I need be at home / in office when the cleaners arrive? Some clients like to be at home to meet the cleaners when they arrive, some are happy to provide keys. The decision to provide a cleaner with a key is up to you. Rest assured, however, that our cleaners are all vetted and are very responsible with keys. We label the keys with a code so that in the unlikely eventuality that they lose a key, nothing will indicate which address it relates to. The cleaners themselves are very industrious and self-motivated. You do not need to supervise their work. If you are unhappy with the service, please let us know. We want you to be happy and we will take steps to rectify the problem immediately. Communication is the key. Just give us a call. Can I change my cleaning schedule? What happens if my cleaner is ill or on holiday? We endeavour to have as little disruption to your cleaning schedule as possible. If your regular cleaner has booked a holiday, we will always supply a replacement should you wish. If your cleaner is ill or delayed by tube strikes or other issues, we may not be able to send you a replacement that day, we will, however, communicate this to you. We cover all London areas encompassing travel zones 1-4. If you live further out, however, please call us on 0207 751 2345 as we may be able to arrange something. We bill in arrears, normally at the end of the month. We ask for payment to be made within seven days. We ask you to deduct the booking charge if you do this. We accept bank transfer or cheque made payable to Workbusters. What cleaning products do I need to provide? As the cleaners travel to work by bus or underground we usually use the client’s large cleaning equipment – mop, bucket, vacuum. In addition, they also need cleaning liquids such as bathroom cleaner, kitchen cleaner and some sponges and cloths. We can provide these at cost plus a small handling fee. We also provide a service where we provide all the cleaning essentials but this is slightly more expensive. What cleaning products do I need? At a bare minimum, you will need washing up liquid but bathroom de-scaler and kitchen degreasers are good to have also. If you want specialist jobs such as cleaning the oven or cleaning silver, it is best to provide the specific cleaner product for this also. Can I ask the cleaner to do the laundry? This is best discussed with us in the office as we can arrange this on a house by house basis. Everyone has different ideas of how to sort washing. Some cleaners may not have specific experience with valuable fabrics that you might wear every day. Additionally, English will usually be the cleaners second language so it may be harder for them to read the washing label instructions. Call us on 0207 751 2345 or e-mail [email protected] or click here now for a quote.